Earlier today, I spoke with Luke Evans about the Blu-ray 3D, Blu-ray and DVD of The Hobbit: The Desolation of Smaug, arriving on April 8. We also talked about his upcoming Dracula Untold, where he stars as the title character in this horror origin story that blends the true history of Vlad Tepes (a.k.a. Vlad the Impaler) with Bram Stoker's fictional and iconic vampire. With the film arriving in theaters this fall, I asked when we might see the first trailer for director Gary Shore's film, which he revealed we'll see attached to prints of Godzilla, opening in theaters May 16. "You're going to see the first trailer on the back of Godzilla. I maybe should not have told you that, I don't know. I think that's the plan. Don't hold me to that, but I think that's the plan." Of course, things may change between now and then, but for now, it seems we'll get our first glimpse of the actor as Vlad/Dracula in just a few short months. He also talked about how this story is set apart from the other cinematic versions of Dracula. "It's coming together very, very well. It's a huge film. It's a big, sweeping story line, you know. It's got everything you'd expect from a historical re-telling of the most famous vampire that ever lived, but what it does to distinguish itself from all the other stories about Dracula, is this is the origin story, so we focus quite heavily on the historical figure, which is Vlad the Impaler, or Vlad Tepes, as I like to call him. When you call him Vlad the Impaler, everybody just assumes that's all he did every day, to impale loads of people in the forest on spikes. Yes, he did do that, but this man was also known in the history books as a very successful leader and a man who ruled over a very peaceful nation for a very long time. He was also a family man. He raised his child and loved his wife dearly and people loved him dearly too. We're bringing that element of the historical figure to light, and we want people to understand more of the human story. Then, when we get the human story up and running, that's when you realize there are things he has to sacrifice and decisions he makes, which allows us to merge the fictional story that Bram Stoker created, into the historical figure that is Vlad the Impaler. It's a really interesting story, and it's full of action. He was a warrior and there are some incredible fight sequences. As you can imagine, the special effects are off the scale. It's very exciting. I'm very, very excited about seeing it." 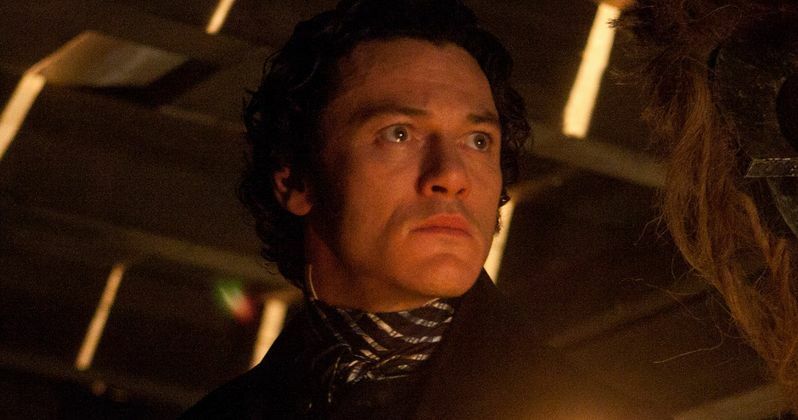 Are you looking forward to the first Dracula Untold trailer this May? Chime in with your thoughts below, and stay tuned for my full interview with Luke Evans as we near closer to The Hobbit: The Desolation of Smaug's Blu-ray 3D, Blu-ray and DVD release on April 8.